Tim. Tim Riggins in Git 'Er Done. Wallpaper and background images in the Friday Night Lights club tagged: friday night lights image still 1x05 git 'er done season 1 tim riggins taylor kitsch. 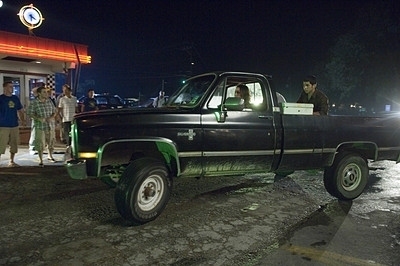 This Friday Night Lights photo might contain pick-up, pick-up truck, and pickup.